Want frantic real time dice rolling to a pulse pounding soundtrack with gameplay that will always keep you on your toes! Buy Escape: The Curse of the Temple! 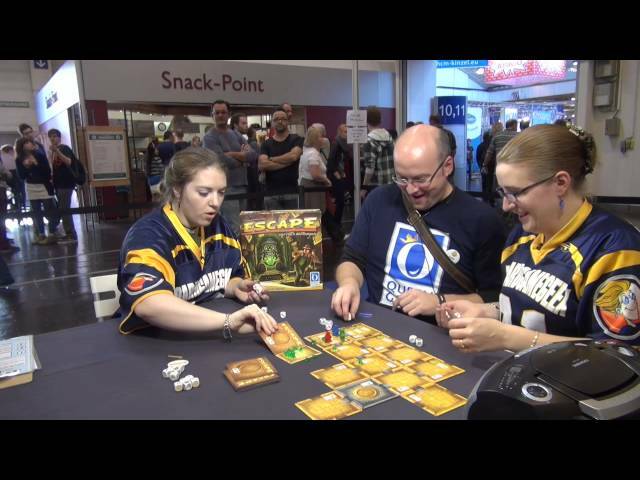 Escape: The Curse of the Temple is a cooperative dice based board game where all players are trying to roll the correct symbols to go deeper into the temple, unlock doors, get rid of powerful curses, and of course... find the treasure! The game comes with either a CD or an app which tells you when to perform special actions and letting you know when you're about to run out of time and be trapped in the temple forever. If you're looking for a game that will have everyone laughing and screaming along in that plays in just ten minutes, look no further: Escape: The Curse of the Temple is your game.